How do I remove the print from an Inventor IIs? Once a print has finished on your Inventor IIS, you need to remove it and prepare the print bed for the next print. The first step is to slide out the print bed. This can be tricky, and very tight on brand new printers, but once released the bed will slide in and out firmly. 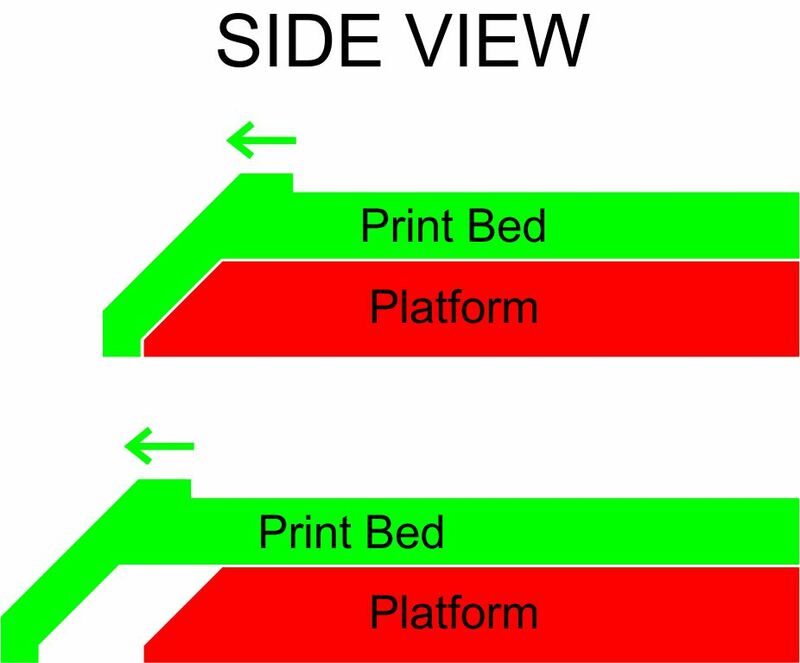 To slide the print bed out, rest your fingers underneath the platform (red) and pull forward on the top of the print bed with your thumbs (green). With the print bed removed, we next need to remove the printing surface. 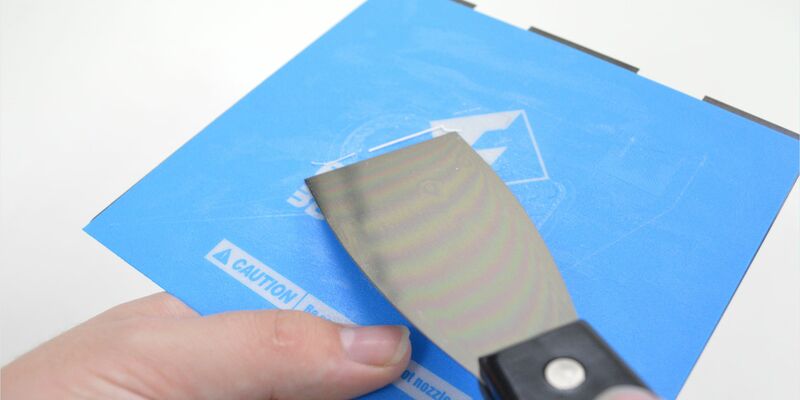 To do this, lift from the shiny edge of the print surface at the back. As this is magnetic, there will be some resistance. 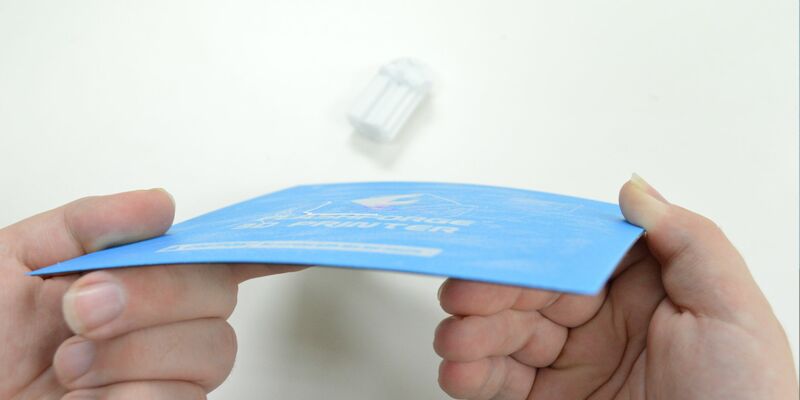 Because the print surface is made of spring steel you can bend it slightly in an attempt to remove your print. If this does not budge, you may use the included scraper to gently pry it off. 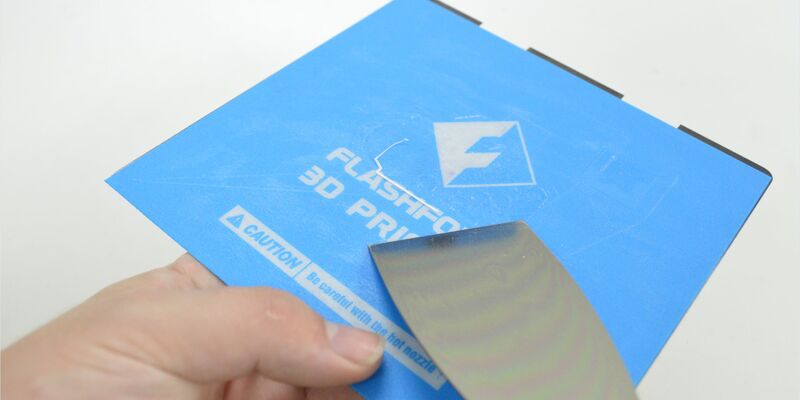 Once the print has been removed, you'll need to clean off the print surface so it's ready for the next print. You can use the scraper to break any small pieces of plastic loose. To put the print surface back onto the print bed, simply line it up with the front of the print bed and drop it down. It should then be flush at the back edge and ready to go. The final step is to slide the print bed back into the printer. Simply line it up with the platform and push it firmly back in place. Once the front face is flush it's in correctly. Now the Inventor IIS is ready for the next print!